Many of the buildings we see today have communication infrastructure supporting building systems that are disconnected, disparate and expensive to operate. We are rapidly approaching the time when every low-voltage building sub-system will be intelligent, require power and become part of a larger building network. The worlds of operation technology (OT) and information technology (IT) are rapidly joining together. Today we are at a tipping point where a more innovative approach must be considered. Modern buildings require a scalable intelligent network cabling infrastructure for all IP enabled building systems including wireless, security, video and lighting. The solution is to plan and design for the future. Intelligent network end devices require more physical network connections and power. Designs should provide capacity beyond current requirements to simplify future upgrades and better support the fully converged building of the future. Power over Ethernet (PoE) is a networking technology that enables safe transmission of DC power and data communication over a traditional twisted-pair networking cable. This technology is an IEEE 802.3 Ethernet standard and is also a Class 2 power distribution strategy outlined in Articles 725 and 800 of the 2017 National Electric Code (NEC). In a PoE enabled building, a well-designed cabling system is essential to support Internet Protocol (IP) communications and PoE power delivery to all low-voltage sub-systems. This cabling system is designed and constructed to stringent standards with high quality Ethernet communications cables. Use of the highest quality structured cabling components will provide error-free transmission of data from high-bandwidth Wireless Access Points (WAPs) to low-bandwidth building controllers. Utilize Category 6A cabling where possible to future-proof the intelligent building and support emerging high bandwidth building systems such as 802.11ac and 802.11ax wireless or 4K AV. PoE power is provided by the Ethernet network switch. Power is combined with data and transmitted from the switch port to selected network end devices (nodes). This technology was developed over fifteen years ago and first approved for use by IEEE in 2003. It began as a power source for Voice over Internet Protocol (VoIP) telephone systems and eliminated the need for a separate power supply to power desktop, wall mounted and attendant console telephones. In 2009, PoE power increased to 30 watts resulting in a quick adoption of PoE technology by the security industry to power cameras and transmit digital video. Today, PoE enabled Ethernet switches provide 60 watts of power and as a result nearly all 802.11xx commercial Wireless Access Points (WAPs) are powered and networked with PoE infrastructure. LED lighting systems for commercial use are easily powered with 60 watts. Forthcoming 802.3bt, at close to 100 watts, will further increase system capability. As buildings grow and occupant populations increase, so must the intelligent building scale to meet network demand. A zone cabling architecture is designed to scale. Horizontal Connection Points (HCP) are installed in zone enclosures, which provides two benefits. First, it permits installation of the cabling system earlier in the construction cycle before finish work begins, creating a “light-ready” environment. In ceiling grid environments, lights are simply dropped in the grid and cabled with patch cords. The areas above drop ceilings are normally plenum (return air) spaces, requiring plenum-rated components. In some situations there may be an advantage to placing Ethernet switches closer to the lights. One reason to do this is to extend the distance of intelligent building cabling runs. Second, Ethernet switches can be placed in a building zone freeing up valuable floor space normally dedicated for a telecommunications rooms (TR). This architecture also increases energy efficiency by reducing voltage drop through the cable. Optical fiber can be used to position the Ethernet switch up to 2km from the primary TR. The HCP and the Ethernet switch can coexist in the same zone.. They are available in plenum and non-plenum versions. AC power is required at the remote Ethernet switch location. This must be accounted for in the planning and design phase of the project. LED lighting is just one element of an efficient, energy saving intelligent building system. Building owners and operators expect a robust IoT lighting platform that is efficient and scales with technology and operational advancements. The system must accurately collect building performance data and provide analytics to help make actionable building performance and utilization decisions. The primary benefit of PoE in lighting is the elimination of separate power supplies and additional AC electrical infrastructures to power IP enabled building systems. PoE provides a single-cable solution for power and network connectivity. Readily available network communication cables are the power and communication connectivity medium of choice for intelligent building system end-points. The LEDs in modern solid state lighting (SSL) systems are DC powered digital devices. The traditional LED luminaire is equipped with an AC to DC power converter called a driver. This driver converts the building provided AC power to DC power to operate the LEDs and consumes unnecessary electrical energy that is dissipated in the form of heat. Driving the LEDs directly with DC power, as in PoE, provides improved efficiency. In building design, it is common practice to provide a separate AC power facility for lighting and distribute this AC power to traditional lighting in the ceiling area. This dedicated lighting power delivery system is not required for network PoE lighting systems, reducing the associated material lost. Lighting controls are required to efficiently operate the LED lighting network and reduce electrical energy consumption. Controlling LED lights is an obvious network solution and the PoE network cable is the clear control connection to the network. Adding wireless radios for this control is a redundant network connection. It is a separate IP network path and requires additional power to operate. A robust PoE platform is the most energy efficient solution with interference-free control operation. Occupancy sensors detect when an occupant enters a space and automatically turns lights on, off or adjusts them to lower energy-savings levels based upon predetermined preferences. Ambient light sensors measure outside light contribution to a space and raise and lower the LED light levels to keep the level at the occupant’s preference. This technology is known as “daylight harvesting” and can contribute to significant energy savings. The same ambient light sensors can activate motorized window shades and screens. Plug loads such as task lighting can be turned off along with the overhead lights to save even more electrical energy. Gas sensors detect hazardous auto exhaust in parking garages and activate exhaust fans. The data collected can be ported to building HVAC systems to adjust comfort levels and eliminate separate hard-wired thermostats. A PoE open Application Program Interface (API) enables the development of sensor, control and temperature solutions customized to building owner needs. The attachment of power monitoring sensor systems can provide electrical power consumption data for an entire building or individual branch circuits. The intelligent building cabling system can also power and gather data from access control systems and surveillance camera systems. With 100 watt PoE availability around the corner, virtually all in-building systems or end-devices will be able to leverage the technology, securing and enhancing the work environment and driving down energy costs. Working with the right products and the right contracting professionals today can provide access to opportunities that were simply unavailable in years past. 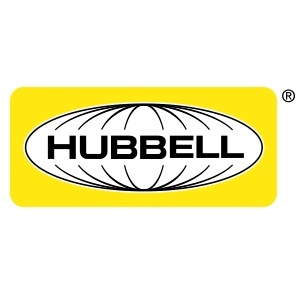 Hubbell's commitment to electrical equipment manufacture has enabled the company to apply its energies to the technology of generating, transmitting, and utilizing electrical energy.